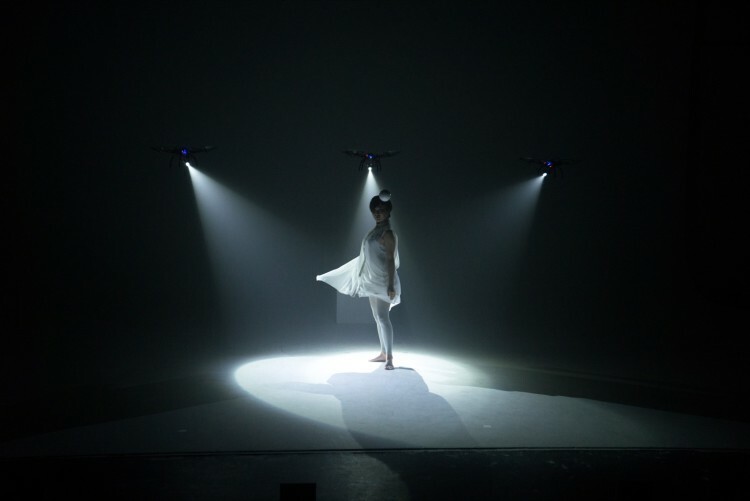 Shadow is a dance piece in which three aerial drones armed with spotlights illuminate a lone dancer. 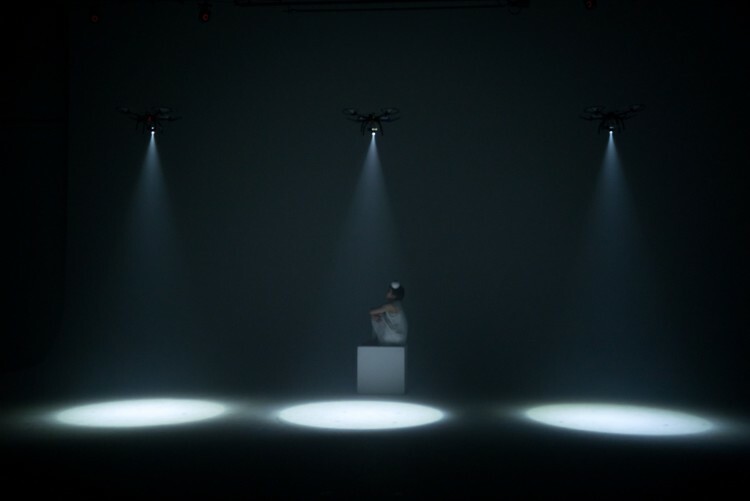 The drones’ ability to hover and make closely choreographed movements allows them to light the dancer from novel angles. 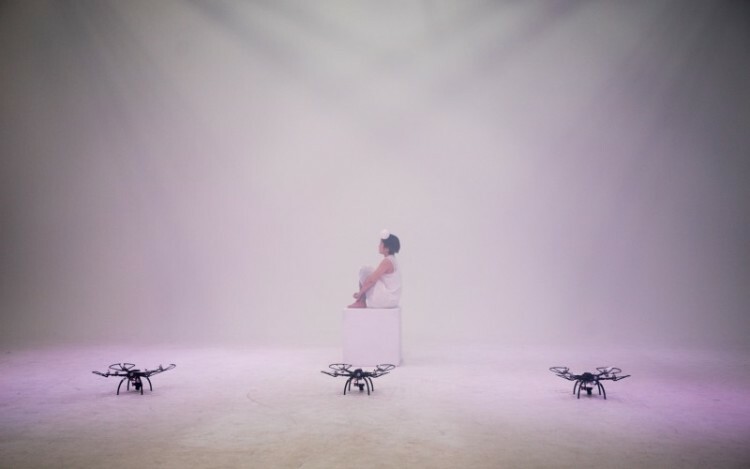 The performance gets really interesting about a minute in, when a three-way strobe effect begins. 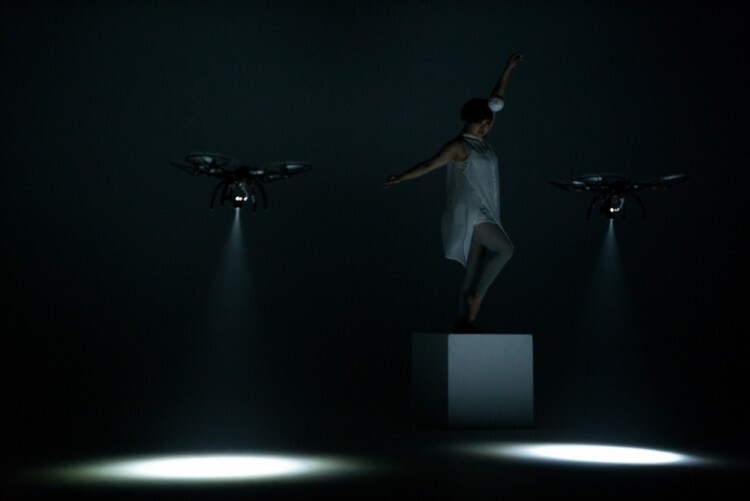 Shadow is a collaborative project by choreographer MIKIKO of elevenplay and programmer/designer Daito Manabe of Rhizomatiks.